By: Beth Anderson on January 27, 2016. Trying to figure out the best way to take care of your skin is confusing: Do you need a firming cream, anti-wrinkle serum, sun protection, nighttime lotion, and daytime moisturizer? Do you need separate products for the neck, chest, and eye areas? Follow our checklist for 10 ways to transform your skin now. Do: Eat dark berries, fresh salmon, avocados, butternut squash, and green tea. These are just a few of the anti-aging superfoods. Don’t: Eat sweets and salty foods. Too much sugar (even honey) can lead to collagen deterioration, loss of elasticity, and increased likelihood of wrinkling. A diet overloaded with salt also will take a toll on your skin, resulting in bloating and puffy, tired-looking skin. Do: Wear sunscreen 365 days a year! Even on cloudy days, and even if you’re inside. Nothing else in your skin-care routine matters if you leave out this critical step. Don’t: Leave makeup on overnight. Any amount of makeup can clog pores, prompt skin-damaging irritation, and cause puffy eyes. Do: Start with a gentle, fragrance-free, water-soluble cleanser, and then remove the last traces of eye makeup with a colorant-free, fragrance-free, irritant-free makeup remover. Don’t: Rely on only one product. It takes more than one product to provide the full range of results. Do: Use a gentle cleaners, toner, sunscreen, moisturizer, exfoliant, and treatment products for skin discolorations, blemishes, oily skin, or blackheads. Don’t: Pull at Your Skin. Repeatedly rubbing, tugging, and pulling at your skin stretches the skin’s elastin fibers, causing sagging and drooping. Do: Use an AHA product (alpha hydroxy acid, such as glycolic and lactic acids) or a BHA product (beta hydroxy acid, also known as salicylic acid). AHAs and BHAs gently get rid of the built-up dead skin cells, unclog pores, reduce breakouts, rebuild collagen, smooth out wrinkles, and allow dry skin to heal. Don’t: use a scrub. Scrubs deal only with the very top, superficial layer of the skin, so most of the built-up dead skin cells are beyond the reach of a scrub. Many scrubs contain particles with a rough, coarse, or uneven texture that can damage the skin as it abrades away the surface, causing tiny tears that damage the skin’s barrier. 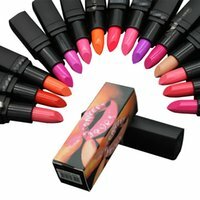 Do: Wear a foundation that contains sunscreen, antioxidants, and cell-communicating and skin-identical ingredients. Antioxidants, Antioxidants, and More Antioxidants! Do: Apply antioxidants topically to your skin, just like they are for your diet. Antioxidants prevent some of the free-radical damage that causes skin-destroying inflammation over time. They also help skin heal and produce healthy collagen. Do: Get dermatological treatments. There is nothing in the world of skin-care products that comes close to giving you the results you can get from medical cosmetic corrective procedures. Your skin will benefit from using well-formulated products on a consistent basis. Don’t: Smoke, tan or use bad ingredients on your skin.